Well everyone......Its been quite awhile since my new wheels and tires were stolen from the Scrambler and I never heard a peep about them again. Such a bummer. I have also been on the road in Cali working a ton and never got a chance to finish up the ride. Looks like I'll have to sell her at this point and simplify my life and projects. Any idea what a list of parts and incomplete CJ-8's are going for these days ? 1)-Holly Pro-jection fuel injection . 9)-Skyjacker Soft-ride shocks and 4"lift leaf springs. 13)-Custom 3" front,rear and side tubular bumpers and bars-(designed to be able to link as trail air tanks. 14)-Custom leather reclining seats with bear paw embroidery. 15)- Custom leather matching 3-spoke steering wheel w/embroidery. 16)-Custom leather wrapped & padded galvanized steel door panels w/African Zebra wood inserts. 17)Custom twin stick leather shift boots. 18)-Custom African Zebra wood Sola shift knobs. 19)-Custom African Zebra wood dash. 20)-Matching custom leather bound carpet and door panel carpet. 21)-All knobs and turn signals arms and window cranks made from custom Deer antler. (very sturdy). 22)-Custom modded Center console with CD holder and storage with rear swing-out cup holders. 23)- Chassis is rot free.Needs final body work and painting. 24)- Engine bay already prepped and painted white. 26)- Most steel components sand blasted and powder-coated. 27)- OEM half-top and an extra full CJ-7 top for project full top. 28)-Extra set of steel wing window doors and Glass half doors. NOTE:-Vehicle runs great but needs a battery and some completion, but everything listed above is newly installed and unused. Re: Scrambler new member.....keep eyes peeled for stolen BFG MT's & wheels please ! Moved, he stated he is not ready to sell the rig/parts yet but does need some estimates on dollar values for the items listed above. Thanks for doing that. Any chance you can bring my photos back up ?? I'll be moving to Southern California soon and only have room for so much. 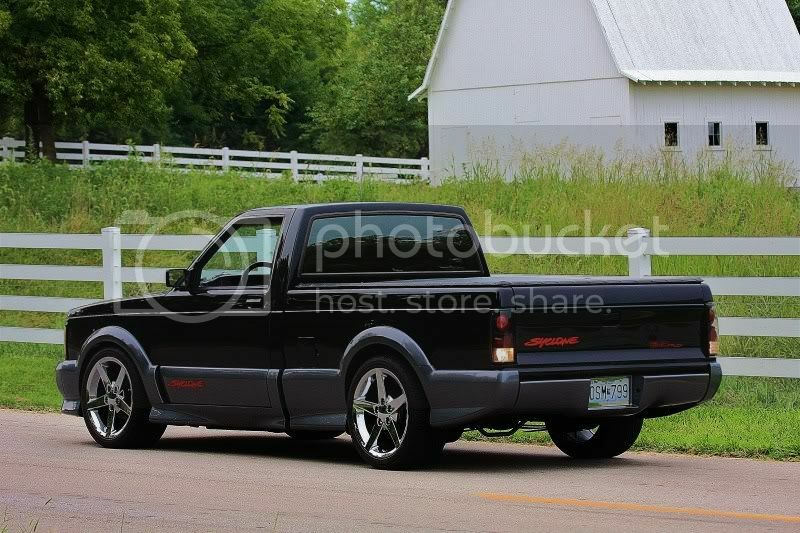 I'm even selling my restored 91' GMC Syclone ( turbo charged awd). Mainly...I'm wondering if I should part it down to come out best or sell as a near finished project ?? It basically needs the gas tank and final fuel lines installed. Then paint on the exterior.....I've already prepped and painted the engine bay. Anyone have a feel for this kind of situation ? How much you asking for the cyclone ?? Looking to get $13,600. They are averaging about 14-18k and I'll have no spare time to really market it . $13.6 steals it or I have to transport it to Cali. to market it there. 0-60mph in 4.3 seconds in the RAIN !! It has late model Vette wheels on a square set-up with 275/40/18's. Tires have about 1k on them. Super straight body with BMW grey cladding oem body-kit.No wrecks or damage. No motor mods, all stock. But I have done reliability mods such as a larger Air/water inter-cooler heat exchanger and TIAL blow-off valve along with a full silicone vacuum tube set. Recently added a performance OEM 700R4 transmission. 20-21. if that help there is a better market in cal. than here. Thats not a bad idea, thanks for mentioning. I think my boss works that event also. I have always wanted a cyclone. I have liked them since they were made. Also the Typhoons. Posted some pix of the CJ8 on first post.